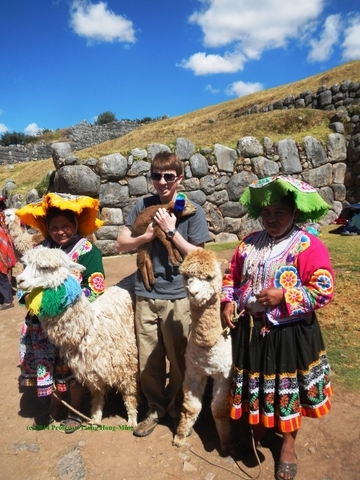 This past summer I had the privilege of studying abroad in Cusco, Peru for 10 weeks. It was the trip of a life time and by far the most incredible thing I have ever done. For 6 weeks I took classes in Advanced Spanish grammar and The History of the Incas from professors from La Universidad de Salamanca in Spain who were contracted by a local university in Cusco. My classes were incredibly informative and learning Spanish in a Spanish speaking country, while also learning about the countries rich cultural history and the history of one of the greatest civilizations ever was a true honor. During my time in Peru, I lived with a host family and one other American student and this was by far the best experience of the trip. The love, kindness, and acceptance my family showed me continues to warm my heart to this day. Without their support and guidance, I certainly wouldn’t have assimilated into the culture and my Peruvian journey wouldn’t have been the same. What I found incredible was that the vast majority of the people in Peru were like this. Everyone accepted my poor Spanish skills, American habits, and general cultural flaws and worked with me in embracing the Peruvian life style and customs. Furthermore, people took genuine interest in learning about my views on world issues and the views of fellow Americans. Being a nursing and Spanish major and taking few courses in political science, our conversations were at times limited, but the interest that the Peruvians took in politics, the environment, and the world economy was astonishing. Seeing the world from their prospective has opened my eyes to new issues and changed my view points on certain topics that I once strongly believed in. 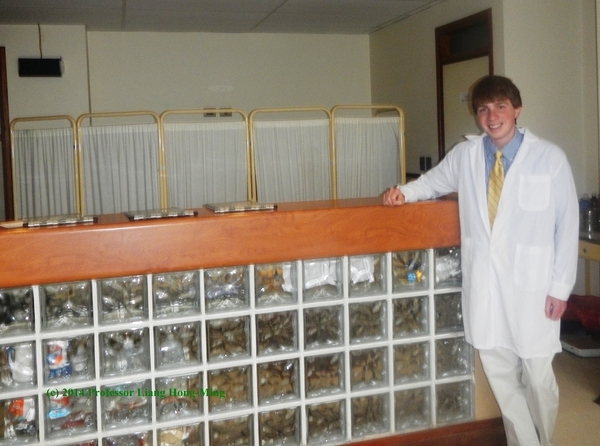 For the final 4 weeks of my stay in Peru, I volunteered at Clinica San Jose, a private clinic in downtown Cusco. In the United States, I study nursing and Spanish for healthcare, so one of my primary jobs at the clinic was to assist the nurses in routine nursing jobs, such as administering medications, changing wound dressings, or simply checking up on a patients overall health status and mood. What I did in the clinic is very similar to what I do back home and I found comfort in the familiarity, even if it was in a foreign language. However, because I could speak Spanish and English, I also assist in translating between English speaking patients and Spanish speaking doctors, nurses, lab technicians, and other hospital staff. In being that Cusco, Peru is relatively close to Machu Picchu, the city is a hot spot for tourists from all around the world. That being said, Clinica San Jose receives many tourists daily. Most patients suffer from altitude sickness or a simple parasite, but others unfortunately suffer much more serious ailments that require hospitalization. The clinic had two doctors who spoke English and they handled the initial medical interview with the tourists. However, after that, the tourists were on their own to deal with the non English speaking nurses, lab technicians, and other doctors. Imagine how horrifying it would be to be hospitalized in a foreign country where they don’t speak your language. On top of your medical illness, you now have the mental stresses of unfamiliarity and fear that you won’t be able to communicate your needs appropriately. That is where I came in. I would walk into a patient’s room, simply say “Hi, how are you, my name is Teddy and I speak English as well as Spanish. Is there something I can help you with?” The look of relief on the patients face made me feel so valued and this was such a rewarding experience. I helped take care of English speaking tourists from America, South Korea, Switzerland, Germany, Canada, Australia, and so many other countries. All of the patients were so worried that they wouldn’t be cared for properly, which further worsened their condition, and just having a simple conversation with them in a language that they could understand made all the difference. One of my most memorable encounters was with a German tourist. He was a huge man, practically 7 feet tall, easily 250 pounds of solid muscle, and a deep, booming voice. I was in the Emergency Room attending to another patient when I was paged to the 6th floor. I entered the German’s room and he was crying and obviously distraught. I wondered what could possibly cause this beast of a man to shed tears. I asked the lab technicians, who were trying to obtain a blood sample, what the problem was, and they were as unsure as I was. So I asked the man if he spoke English, and he instantly stopped crying and said “Oh thank God, someone who I can understand.” After talking to him for a couple of minutes, I discovered that he was petrified of needles due to a bad childhood experience. Therefore, when Spanish speaking lab technicians came into his room and tried to take a blood sample without explaining to him what was going on, the man panicked and thought they were trying to murder him. I explained to him that the technicians simply needed to take a small amount of blood to run some diagnostic tests. He calmed down and agreed to allow the technicians to take the sample provided that I stayed in the room with him the whole time. I agreed, and we talked about German desserts while the technicians acquired the blood sample. All was well and after identifying what parasite the German was infected with, the doctors proscribed him the proper medications and he was discharged from the hospital. What normally is a simple procedure turned into a huge incident all because of a language barrier. I would hate to imagine what would have happened had I not been there. Perhaps the German would have assaulted the lab technicians out of fear, we can never know for sure. It makes me truly appreciate the benefits of being bilingual and realize how essential it is that people receive medical treatment in a language they can understand. The significance of this story highlights why I choose to major in Spanish for Healthcare in addition to nursing and why I truly value my trip to Peru. In my home state of Ohio, we have a significantly large Hispanic minority population. Most are recent immigrants and very few speak English. Even if they do speak English, in a clinical setting they prefer to speak their native language due to the stress of the situation or perhaps because they do not understand complex medical terms in English. This is a big problem in the United States because the majority of our healthcare professionals do not speak Spanish. Therefore, we are forced to rely on interpreters, family members of the patients who speak English, and other means of communicating that are simply not as effective as a bilingual medical professional. Moreover, there is so much more to communicating than simply knowing the grammar and vocabulary of a language. To truly communicate with a Hispanic patient, one has to have an understanding of their culture and customs. If a doctor or nurse treats his Hispanic patients in the same western, fact based scientific manner he treats his American patients, he is going to face major problems. The fact of the matter is that Hispanics view healthcare much differently than Americans, and if we don’t take into account their beliefs in preferences, then they won’t receive the care they deserve and need. I believe that everyone has a right to quality, efficient, and culturally competent healthcare. Regardless of your financial, cultural, or religious background, you deserve to receive the care that you need. As health professionals, we must always take into considerations the opinions of our patients, communicate with them in a language they can understand, and respect their culture as it pertains to their health. My experience in Peru strengthened my belief in this philosophy and I am committed to being a culturally competent nurse and provide the best care I can to all of my patients. I am incredibly grateful for the people of Peru, particularly my host family and the staff at Clinicá San Jose for teaching me about the Peruvian culture and helping me to become an overall better human being who views the world from different perspectives. As an international student coming from a Latin American country I can completely relate with the feelings that derive from not being able to fully express yourself in a language that is not your mother tongue. You bring up an incredibly relevant matter that should definitely be dealt with: the importance of multilingualism and interpreting in institutional settings. I truly wish more health care professionals would have your culturally inclusive perspective!